Here are the other three flowers in my Peculiar Posies. This top flower includes a really fun silk that had gold threads woven into it. Pink leather of two varieties, dark purple velvet and dupioni silk and some blue silk I bought in Houston from Burma. The green leaves are also a fun leather. 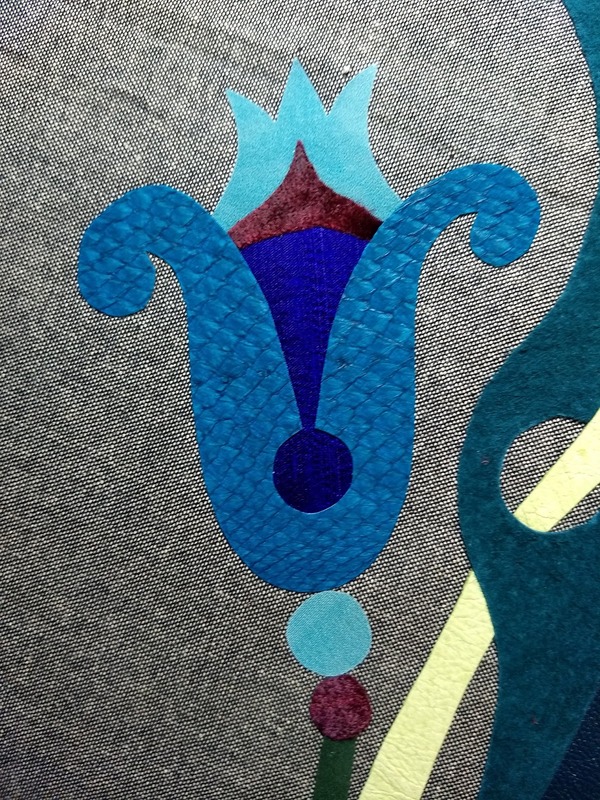 This flower also features dupioni silk and velvet, but the really fun part is the big blue piece which is made from fish leather. Yes, you read that right. They were a vendor at our local show last year and I just had to try it. It's magnificent to work with because it's nice and thin. 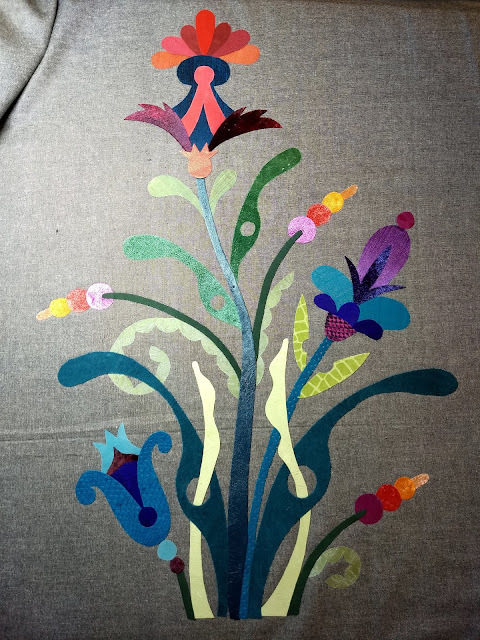 Here are all the flowers appliqued. Now to figure out a fabric for the pot! Fish leather, well, there's something I'd never heard of. Wish I lived close enough to drop by and look with my fingers. Two Blog Hops Start Today! 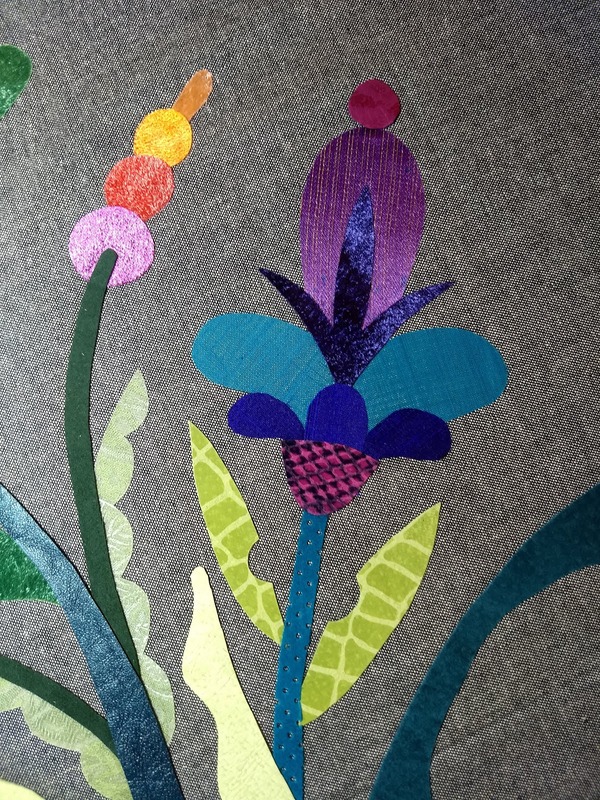 Peculiar Posies Part 3 and a Tip!